As one of the most romantic cities in the world, Paris draws in millions of travelers each year. Everything about Paris exudes class, from the architecture to the cuisine. All of the site-seeing, exploring and shopping in Paris earns travelers some much needed rest. Staying at an upscale hotel in Paris without a doubt completes the experience. After all, you’re on vacation. Part of the service we provide is ensuring a comfortable and relaxing stay in any accommodation you choose. To give you an idea of some of the luxury hotels in Paris you could enjoy during your vacation, here’s a simplified list of the crém de la crém. The many landmarks and institutions in Paris make for a busy itinerary. With such rich history and culture, travelers always want to make the most of everything the City of Light has to offer. Our clients prefer upscale products, and we’re always looking to deliver curated services. Discover our private experiences for a look into what we offer. Contact our expert vacation planners to coordinate your European adventure. 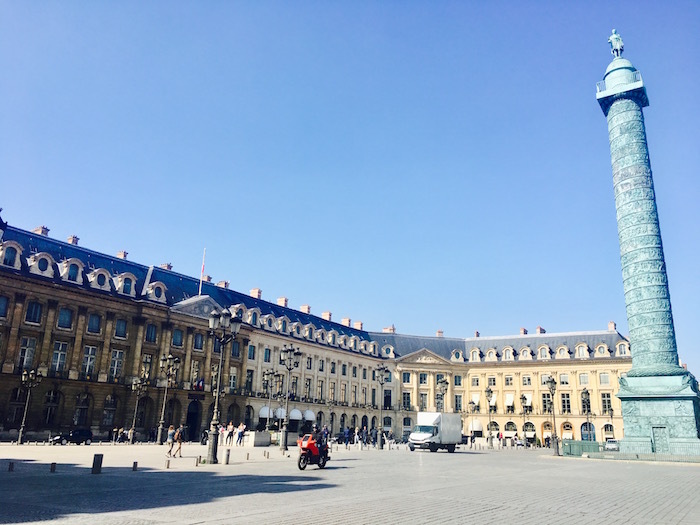 Located conveniently in Place Vendome, Park Hyatt Paris-Vendome sits in the heart of this gorgeous square. Without a doubt, just its exterior invites travelers to gasp as its appearance, giving off those “I wish I could stay there” reactions. At this hotel, you do not have to travel far for a decent meal. Within the hotel, you can enjoy a Michelin Star restaurant called Pur-Jean François Rouqette. With inviting white table cloths and mahogany walls, lavish in the restaurant’s delicious authentic cuisine without worry about scuffing your leather shoes on the walk home. The Hyatt offers 43 luxury suites in addition to over 150 other rooms to choose from. Now one of the most luxury hotels in Paris, Hotel de Crillon actually used to function as a palace. This historical fact comes as no surprise once you set foot in the building. The incredible artistic detail of the walls, floors and even the bathrooms will guarantee the elegant experience you signed up for. This hotel is conveniently located in close proximity to Champs-Élysée, an avenue filled with luxury shops and restaurants. You can even experience the joys of a Paris vacation without leaving the threshold of the hotel. With a Men’s Grooming Center, state-of-the-art spa, children’s programming and four upscale restaurants, Hotel de Crillon guarantees a relaxing stay for all travelers. If you’re on a quest for fashion, this hotel is your perfect Parisian paradise. Sitting right on Avenue Montaigne, Hotel Plaza Athenee facilitates the commute to Paris’s most exclusive storefronts. When you’re tired of all of that shopping, head back to your wondrous hotel to enjoy all of its luxurious amenities. The Dior Institut inside of the hotel offers a multitude of spa treatments, focusing on revitalizing the mind and body during your stay. Step out onto your opulent terrace each morning and take in the incredible views of the Eiffel tower. Just like the Hotel Plaza Athenee, Le Meurice is also part of the Dorchester Collection. Artists such as Dalí and Warhol inspired the detailed art and design of this beautiful hotel. Look out over the magical Tuileries Gardens right from the comfort of your own suite. 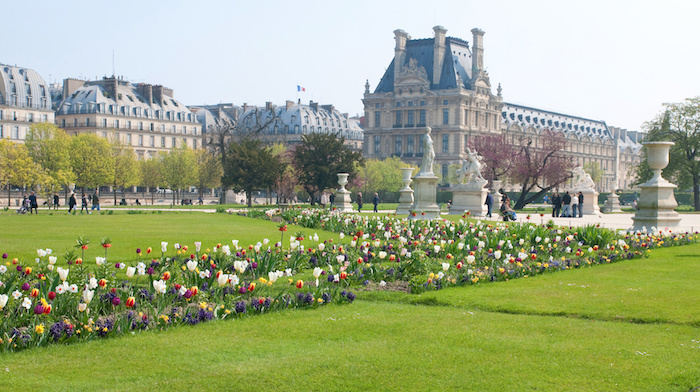 Discover the wonders of Parisian art at the Louvre, located just steps away from Le Meurice. This palace of a hotel also offers several dining options, complete with an elegant dinner restaurant, an events venue and even a decadent tea room. If you have a desire to experience excellent views, comfort and amenities without having to leave your room, Mandarin Oriental is a wonderful option. The Penthouse floor of this Paris five star hotel ensures a lavish stay. With three bedrooms, three bathrooms, two terraces, a living room, dining room, kitchen and bar, you’ve found yourself essentially your own Parisian estate. If the Penthouse isn’t your style, then the hotel itself has other luxurious features sure to enhance your stay. Enjoy sound proof suites fit for the perfect night of sleep in addition to a world class spa. This Paris hotel will leave you never wanting less than luxury.